Successive draws mean that England currently sit in third place in their European U21 Championship group, with Sunday’s opponents resting just above them. The Czech Republic succeeded where England’s young charges failed, managing to break down a resilient Ukraine in the first game of the tournament, and this gives them an early edge heading into their final group game. Nothing less than victory will do for the Young Lions in their last group match if Stuart Pearce’s team are to progress to the semi-finals. 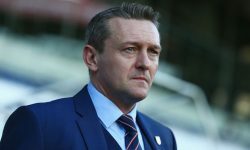 Football betting fans could be interested to hear that the Czechs, who Pearce identified as the tournament favourites before the campaign kicked off, need only a draw to advance and condemn England to an early exit. The news could tempt a number of punters to back the game finishing in a draw, with the Little Lions likely to set up with a defensive mindset. Bwin prices the stalemate at 12/5, while betting odds of 27/4 can be had on the game finishing 0-0. 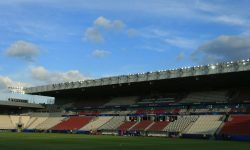 England have been installed as the favourites to win and ultimately progress to the latter stages of the competition, having also reached the final in 2009. Betting enthusiasts who choose to use their free £25 bet for joining bwin to back an England win will find that they can get returns of £48.74 on this outcome. And with England needing to win the game, it is likely that Pearce will set up with an attacking mindset. For this reason, placing a bet on the number of goals scored in the game could be lucrative. Betting odds of 18/5 can be had on the match producing exactly one goal, while those expecting a display of more attacking football can get odds of 13/5, 13/4 and 21/4 on the ball finding the net on two, three or four occasions respectively. However, many punters will find that they are able to get some better football betting odds by predicting who will score. For example, Chelsea star Daniel Sturridge and Manchester United front man Danny Welbeck offer attractive odds of 5/1 and 6/1 respectively to open the scoring in the game. Meanwhile, the 14/1 odds on Liverpool’s new £16 million signing Jordan Henderson to break the deadlock could prove tempting as the 21-year-old looks to justify his hefty price-tag. The Czech Republic will be hoping that Borek Dockal will be able to add to his two tournament goals so far, with the midfielder priced at 17/5 to score at any time in the 90 minutes.